Aleksandra's Note: The following is a review of THE HERETIC by Fitzroy Maclean published in TIME Magazine on October 7, 1957. Fitzroy Maclean was sent by Winston Churchill as an "ambassador" (liaison officer) to work with Josip Broz Tito in Yugoslavia in 1943. 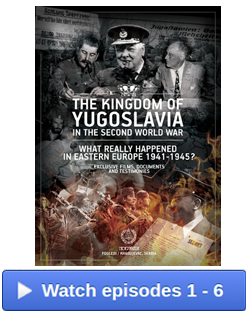 Maclean's admiration for Tito is said to have had a great influence on Winston Churchill and on the decision to abandon General Mihailovich in favor of Tito, thereby altering the course of history in the former Yugoslavia during WWII and beyond, although it can be argued that Churchill had already made his decision to switch his support to Tito before Maclean ever parachuted into Yugoslavia. Fitzroy Maclean became an author and a "Sir" and extensively documented his adventures in his writings. 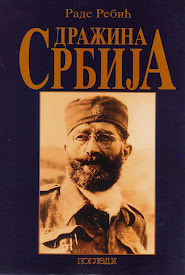 THE HERETIC -The Life and Times of Josip Broz-Tito, was published in 1957 by Harper & Brothers, New York. The following review is very revealing of who Tito really was as seen through the eyes of an "admirer". 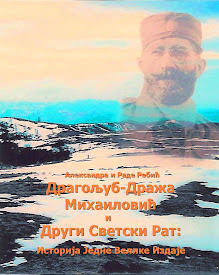 When Tito and his partisans were fighting for their lives against the encircling Germans in the hills of Bosnia, they radioed urgent appeals for help to Moscow. The Kremlin responded, not with guns and medical supplies, but with long, niggling messages on ideological and political matters. Why did Tito call one of his detachments the "Proletariat Brigade"? 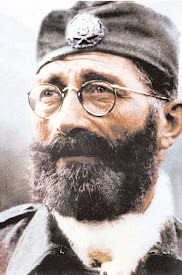 Could he not just as well fight under his real name of Josip Broz instead of using the conspiratorial nickname of Tito? Later, Stalin was to complain about the Soviet red stars the partisans wore on their caps: "What do you need red stars for? You are only frightening the British. The form is not important." Though a devoted Communist, Tito was also a romantic—and a ham—to whom form was important. He saw himself as a fiery revolutionary, 1917 model, waving a Red flag on the barricades. Stalin, fighting for his own life and that of his grey, monolithic regime, wanted no Balkan hothead making the Allies suspicious of Communism's ultimate intentions. 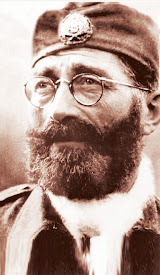 He was to declare airily: "I will shake my little finger, and there will be no more Tito." 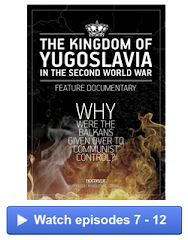 This exciting, carefully documented book helps explain why, although there is no more Stalin, there is still a Tito. The Way Up. Author Fitzroy Maclean, prewar member of the British diplomatic service (Paris, Moscow), is a Conservative M.P. 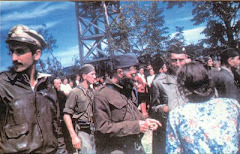 who parachuted into Yugoslavia during the war, commanded the British military mission at Tito's headquarters. He clearly grew to like Tito as a man, while disliking nearly everything the man symbolizes. 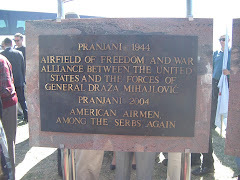 Maclean quotes the old Balkan adage—"Behind every hero stands a traitor"—in an attempt to explain the ambiguities of the Croatian farm boy who managed to outwit and outfight the Nazis, defy his allies of both East and West, survive the deadly infighting in his own Yugoslav Communist Party and, so far, dodge the assassins who lie in wait for tyrants. Actually, both the "traitor" label and the "heretic" of the book's title are curiously oldfashioned, almost romantic terms for a highly successful survivor in a political system where the only real treason is to be slower on the draw than the other fellow, the only real heresy to be out of step with the twistings of "historical necessity." Author Maclean traces the fairly familiar but still remarkable facts of Tito's life from his birth (1892) in a tiny Croatian village to his World War I years as a prisoner in Russia and his fighting alongside the Bolsheviks during the Russian civil war. The story continues with Tito's years (1928-34) in the jails of what by then was Yugoslavia (he found prison "just like being at a university," and for the first time had the leisure to read and to argue Marxist dialectics—with his fellow convicts). 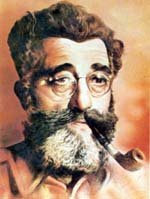 Before Tito was ready for his famous World War II role as the ruthless partisan fighter against not only the German invaders but his anti-Communist countrymen, he served a tough apprenticeship as a Communist underground agent, using false names and passports, surfacing occasionally in Vienna, Istanbul, Paris. In Zagreb he mostly posed and lived as a wealthy engineer. He went frequently to Moscow and was not always sure, during the purge frenzy of the 1930s, that he would come back alive. But the danger of being knifed by his comrades, like the danger of being picked up by the police, was all in the revolutionary day's work. The Adversaries. Tito grows through the book from an awkward villager to a smooth party functionary to a puffed-up dictator wearing the most splendid uniforms since Göring. He alternately appears a shrewd peasant, a cold-eyed killer, a sentimental family man. 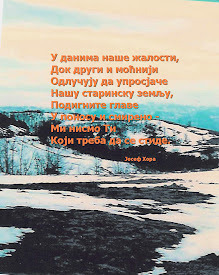 There is rough humor as well as ruthlessness in him, courage but little real rashness, some pity but no compassion. His friends and enemies were men of great complexity. 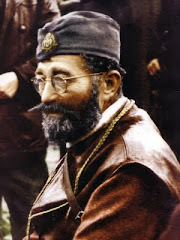 There was Milovan Djilas, the Montenegrin partisan who seemed determined to infuse some humanity into the Communist machine and today, from jail, is one of its more eloquent critics (TIME, Sept. 9); Cardinal Stepinac, a blend of defiance and mystic righteousness that Tito was never able to break; and the bearded anti-Communist chetnik, Draja Mihailovich, whose own children deserted him for Tito during the war and who was finally run down in the hills by the partisans. At his trial, and before his execution, Mihailovich movingly described his doom: "I wanted much; I began much; but the gale of the world carried away me and my work." Tito is still riding the wind that has swept away other men and regimes. What makes him significant is the meeting of two great forces—Communism and nationalism—that Tito managed instinctively to play off against each other. When he needed strength for his rebellion against Moscow, the man with peasant roots and romantic flair could draw on his people's patriotism; when he needed strength to subdue his own turbulent people, the practiced conspirator and Marxist dialectician could draw on Moscow police methods. If more of the world could understand the brutality of this ideological alliance—which persists despite very real political rifts—Communism everywhere would have a tougher time wrapping itself in national flags. Author Maclean finds Tito at 65 "as alert, as decisive and as hardheaded as ever and as ready as ever to face resolutely, realistically and ruthlessly any situation that may confront him." But Maclean makes no final estimate of Tito's place in history, and even Tito himself shows a certain hesitancy. "Remember," he says, "there may be more to come."